It’s easy to be content in our expat bubbles, as the staples of western convenience become more and more commonplace in every corner of the city. But you need to ask yourself, what’s the point of living in a city like Beijing and a country like China if you only remain ankle-deep in its culture and the ocean of possible experiences? 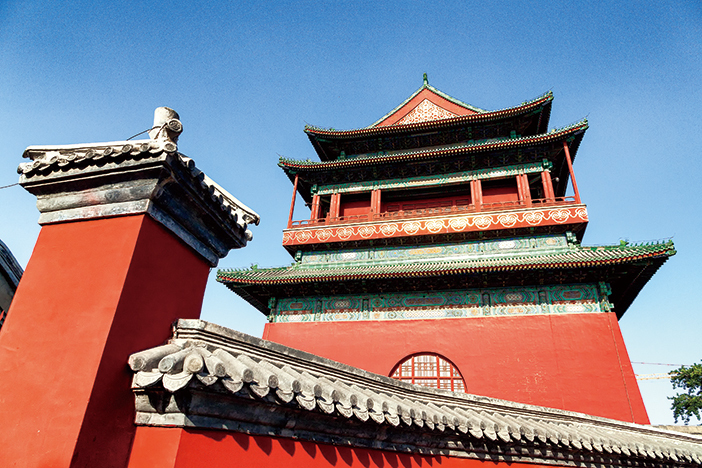 As it’s our job to know this city inside and out, especially when it comes to family-friendly activities, we decided to share some of our discoveries and experience to help you really dive deep into all that Beijing has to offer. This was essentially the premise for us starting our Beijing Bucket List column on our blog. Every month we introduce an essential Beijing activity or location suitable to be shared with kids. We have since amassed a lengthy collection of suggestions, along with the contacts of the people who can make them more accessible to expat families. While some of these prompts might be obvious and others might be a little strange, this list in our opinion is an excellent starting point for attaining a better appreciation of life in the capital, and will hopefully help to spark a little adventure in your weekly routine. We know the Great Wall is on every top-five Beijing listicle, but at some point when living in Beijing, you need to see the Wild Great Wall. While these portions don’t have the roller coasters or Burger Kings, and other commercial attractions, if you go with the right hiking group you can have a unique experience untarnished by what we’ll call the Disneyfication of one of the world’s greatest wonders. 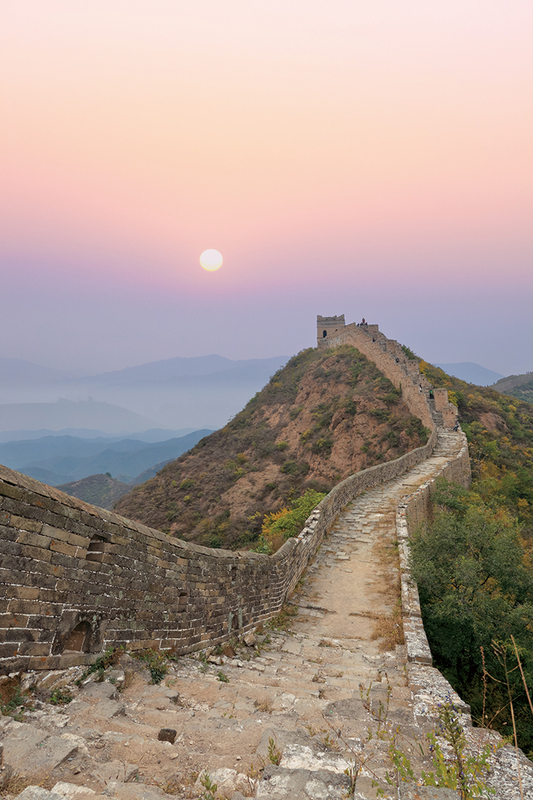 Hiking groups like Beijing Hikers and China Hiking both offer these rugged experiences weekly, and there are even overnight trips that allow you to camp on the wall’s watchtowers and keep watch for Mongolian invaders. If you are looking for some of the best family selfie opportunities this season, then the peach blossom blooms of Beijing are not to be missed. Starting in the middle of March, peach blossom season continues till the end of April. Immediately upon reading this, head to one of the many parks in and outside the city to experience the beauty of this highly significant flower in Chinese culture. 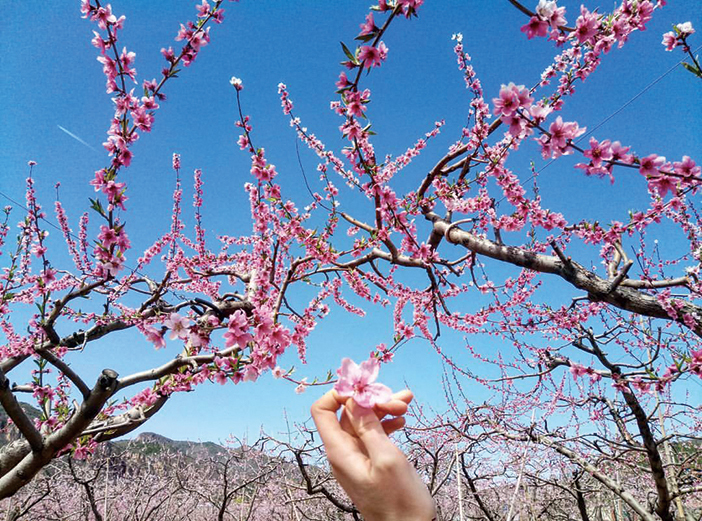 At this time of year, the peach blossoms of Pinggu Valley spread as far as the eye can see, taking up a total 14,674 hectares. The peach orchard is so large that 300,000 tons of 200 varieties of peaches are harvested here each year. If you are looking for something a bit closer, then Jingshan Park near the Forbidden City, the Summer Palace, and the Beijing Botanical Gardens also have plenty of peach blossoms in bloom. All of us are aware of Beijing staples like Peking duck, dumplings, and baozi, but there are literally hundreds of other local dishes that aren’t on the radar for many foreigners just beginning to navigate these delicious treats. To get a grasp of some of these dishes we recommend checking out the food tours from UnTour. 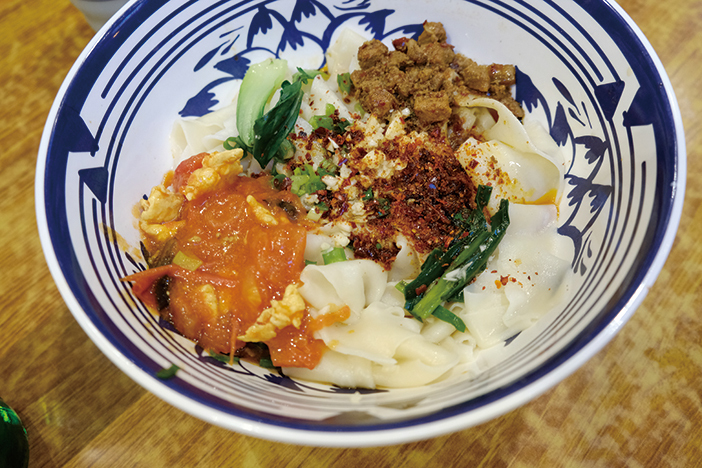 They have both breakfast and dinner hutong outings that take guests to at least six restaurants in a single session, and even make the experience accessible to those with dietary restrictions. These quick stops are also supplemented with the history of these delicacies from their friendly and helpful staff of expat foodies. We can say from experience and years of living in this city that these tour guides knew their stuff, and were even able to surprise us when it comes to Chinese food with excellent dishes and restaurants we’d never heard of. With a history originating in the Yuan Dynasty (1206-1341), Beijing’s hutongs are an area that still echoes with the capital’s history. While there are many ways to explore these old quarters that exist in stark contrast to the megacity Beijing is now, we recommend taking a tour with one of the many local historians that host walks. On these tours, you’ll not only learn about this area’s significance but also hear some of the stories that make these gray alleyways come alive and meet the fantastic people that still call them home. Whether it’s a murder mystery tour inspired by Paul French’s Midnight in Peking from the folks at Bespoke Beijing, or a Dashilar Scavenger Hunt with Beijing Postcards, these tours will put you right in the middle of it all. 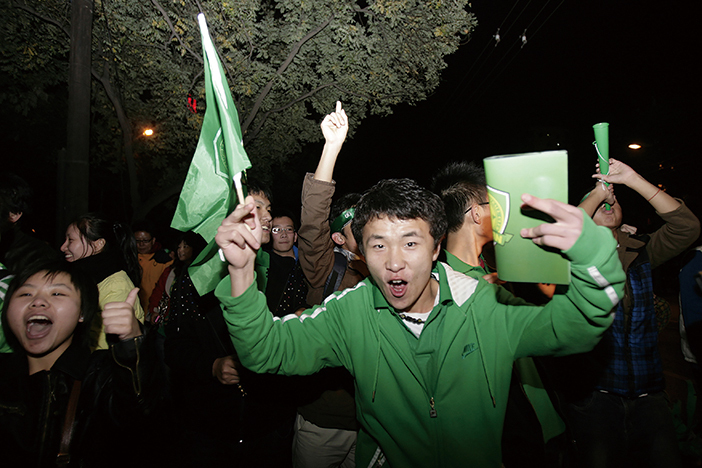 Head over to the Workers’ Stadium for the spectacle that is a Guo’an game. As Beijing’s biggest football club, Guo’an’s stadium is the best place to experience the massive influence spectator sports have in modern Beijing. People are mad about football. So mad actually that yelling expletives at the top of your lungs at the opposing teams has become heavily regulated recently, which is excellent for families as these events just became much more kid-friendly. Seasons last from March to December, with a break in the summer heat, so make sure to check their schedule for upcoming games. The only official way to buy tickets for Chinese Super League matches is to order them days in advance, from a Chinese-only website, and wait for them to be delivered to you. So don’t be afraid to do what most people do, which is to buy from a scalper outside the stadium. This is a highly divisive recommendation, as many people (even locals) tend to shudder at the thought of two hours listening to shrill falsetto vocalists and the rapid clangs of Chinese Opera. Our suggestion, therefore, is to preface the experience with a screening of Farewell My Concubine, then go to one of the oldest theaters in the city specializing in this very dynamic art form. The entirely acoustic performance is incredibly intimate, almost exactly the same as it was presented in its heyday in the mid-19th century. This combined with the costumes, makeup, and atmosphere of a century-old theater make for an incredibly authentic Beijing experience. 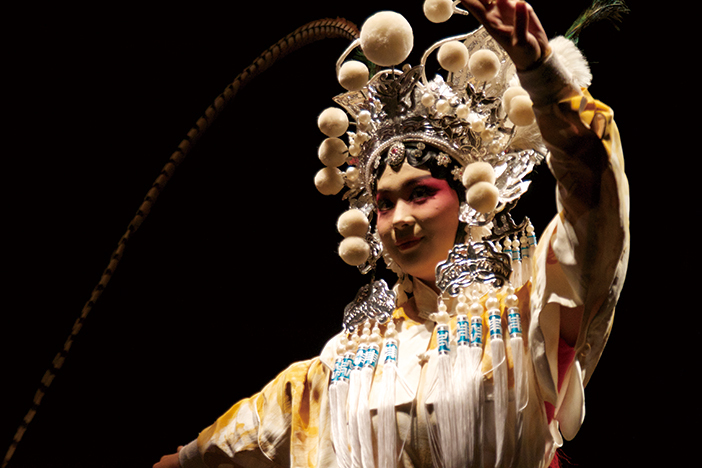 Zhangyici Theater’s Mei Lanfang Series features a collection of essential performances from one of Peking Opera’s most notable performers. This cluster of cave dwellings north of Beijing offers an impressive testament to our Chinese predecessors’ cave-digging abilities. With 174 caves in all, the largest are more than 20 square meters, with multiple rooms. 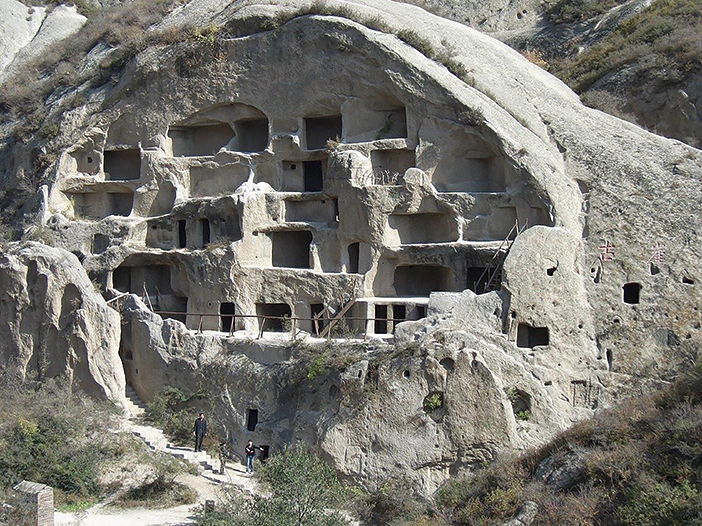 The caves were reportedly carved by an ethnic minority called the Xiyi during the Tang dynasty (618-907 AD). Most of the caves are bunched together in two rock face villages, resembling ant farms for humans. Kids will enjoy wiggling into the smallest ones, which have just enough room to lie down in. At the peak, there is a great view of the lake and surrounding valley. Guyaju only takes one or two hours to tour, so this day trip can be combined with a visit to the nearby Longqing Gorge. While we all know and love Houhai, but the eating options are a bit uninspired. The area is rampant with overpriced tourist trap Chinese food, fake Italian restaurants, and hookah bars. Actually, there are one or two good time-honored restaurants in the vicinity like Kao Rou Ji, but another option is to pack up a lunch of your own and hit the lake on a boat. Soak and snack, or play pirates in the middle of Beijing’s most famous imperial waterway. 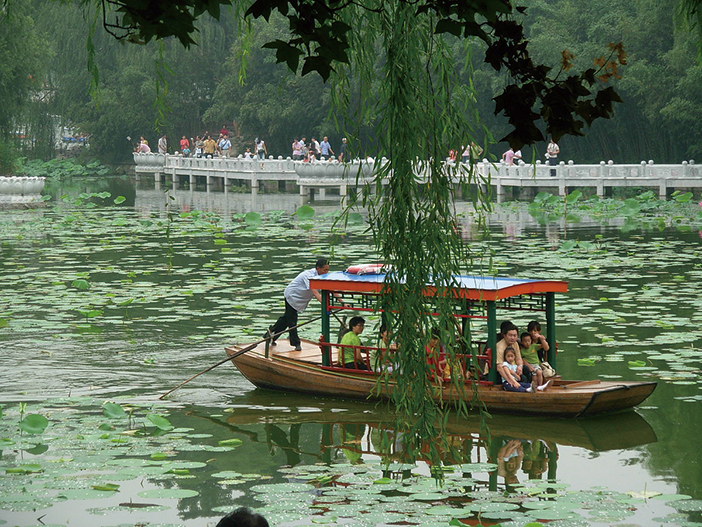 Another equally imperial option is to do the same but at Zizhuyuan Park (Purple Bamboo Park) in Haidian. Enjoy some baguettes, cheeses, and cured meats, while you cruise and eventually dock at the Summer Palace. 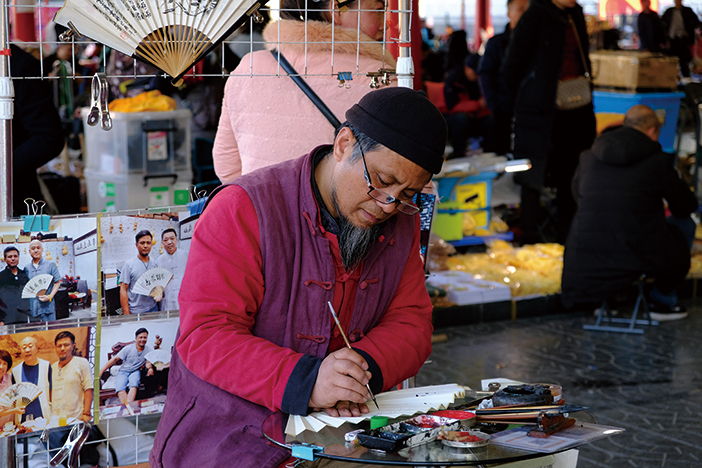 The flea market concept is trending in the city of Beijing in a huge way, mainly providing a venue for local makers to sell their trendy accessories, craft soaps, and essential oils, which is all well and good. But what’s also up there on the fun meter is checking out Beijing’s original flea market at Panjiayuan to get your hands on some pretty cool relics from Beijing’s past. Some real, and some not so real, you can find a lot of cool knick-knacks to help give your home a more lao Beijing feel, or find the perfect gifts to bring back the fam during your next visit.